Brazillian species found near Rio De Janeiro. 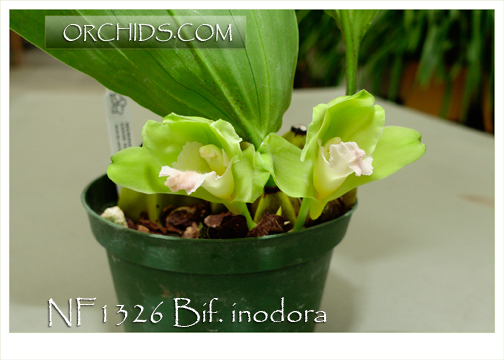 Bif inoda has a compact growing habit and is smaller than its relative Bif. harrisoniae . 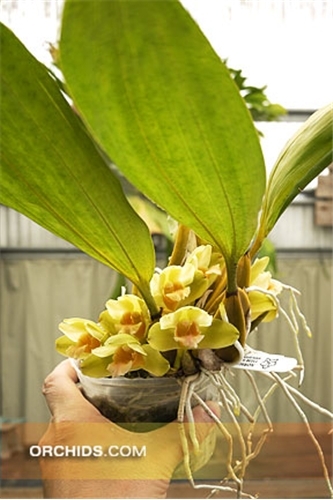 Cattleya growing condition with tolerance to low night temperature if keep the growing medium on the dry side during the winter. 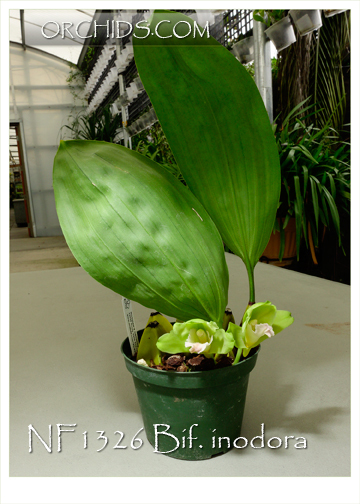 Excellent for underlight , mounting on clork slabs or windowstill culture..